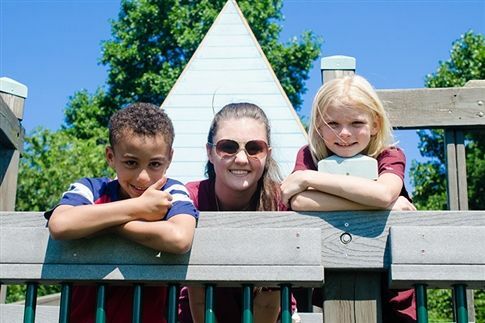 Severn School | Camp Season is Just Around the Corner, Spend Your Summer at Severn! Camp Season is Just Around the Corner, Spend Your Summer at Severn! The right camp should do more than just keep your child busy during the summer. A well-rounded camp experience should include time to learn, time to be active and creative, and time to develop friendships. Our summer camps are a perfect blend of creativity, community, and fun that challenge your child to learn and grow. Our mission at Severn School is to know and value our students for the individuals they are and for what they bring to our community. Summer at Severn is no exception. Week 5: Full STEM Ahead! Week 4: Get Fired Up! If you want to improve your offensive skills, become a better defender or go head-to-head against a rival, our athletic camps are the place for you. We invite novice and experienced athletes alike to learn and sharpen their skills in a challenging but instruction-rich environment at Severn’s sports camps including lacrosse, soccer, field hockey, football, and basketball. Although our sports camps take place at Severn, they are hosted by individual organizations, each with its own registration process. Our 2019 sports camp lineup will be posted as it comes available. Click the link below to check the most current schedule. Each camp session offers something different, but every camp is a place where kids can make friends, try something new, have a ton of fun and learn along the way. From the first moment they walk in the door until the last day when we say our goodbyes, our campers realize that they are part of a greater community; that they really are a part of our Severn family. Please email our Summer Programs Director Ms. Laurie Wachs if you have questions about any of our camps!